Eighteen-year-old Nella Oortman arrives in Amsterdam to begin a new life as the wife of illustrious merchant trader Johannes Brandt. But her new home is not welcoming. Johannes is kind yet distant, leaving Nella alone with his sister, the forbidding Marin. But Nella's world changes when Johannes presents her with a gift: a replica of their home. To furnish her gift, Nella engages the services of a miniaturist--an artist whose tiny creations mirror their real-life counterparts in eerie and unexpected ways . . . In suffering we find our truest selves. 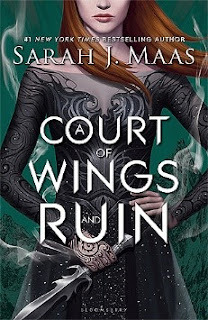 I can not stress it enough: this book was amazing! 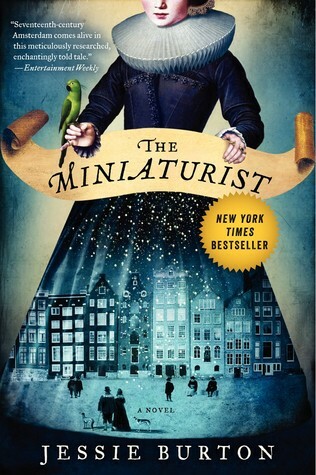 The Miniaturist had me hanging by a thread the entire time and I couldn’t bear to put it down. This is a book that I would recommend to anyone, regardless of tastes because it has everything. Petronella Oortman is barely eighteen years old when she leaves the comforts of her home to become a woman and settle with her new husband, a wealthy merchant, in Amsterdam. But Nella soon discovers that there is little comfort to be found in her new home. Johannes doesn’t want her, his sister, Marin, is cold and stern, and Nella is less the Mistress of her own dwelling than a guest. When Johannes gifts Nella with a cabinet-sized replica of their house, Nella is torn between resentment towards the childish present and curiosity for the Brandt household, it’s mysterious inhabitants, and the contents within locked doors. To furnish the home, Nella enlists the help of a miniaturist – an artist whose tiny creations are strikingly beautiful. But, as the unseen miniaturist continues to plague Nella with unasked-for objects, the hauntingly realistic miniatures become Nella’s window to the Brandt household and all future dangers. As the family’s secrets are uncovered, the dangers facing Nella affect them all, not even the rich can escape the fate awaiting them. 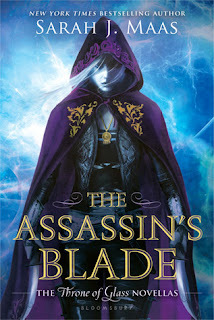 Alongside the incredible plot that kept me awake for several nights, the characters in this book are fantastic! I saw each character grow, become something more than what seemed possible. They are compelling, rich creations, suffering from greed, lust and sin but so full of love and loyalty for those they care about. Nella, with her romantic dreams which never to life, is everything she believes she should be as a woman, but still retains her youthful innocence and determination that makes her such a loveable character. What she doesn't realise is just how strong and intelligent she is. I adored her spirit and control and loved watching it develop throughout the novel. Johannes is a sweetheart and, despite his indifference and distance towards his young wife, I couldn’t help but like him. As for Marin, it took me a long time to understand her but, once I did, I couldn't get over how perfectly flawed she was. Her treatment of Otto and Cornelia made me like her from the start and her grit, while occasionally unbearable, was the force holding their unlikely family together. I haven’t read something as good as this book for a long time. The ending tore my soul out and left me with not a coherent thought. Brilliant writing, a remarkable plot, stunning characters and thrilling twists which will have you bitting your nails the entire time, The Miniaturist is a kickass feminist story for just about anyone. Warning: this book may not be appropriate for younger readers with some dark themes and events. You can grab your own copy from Amazon or Book Depository or put it on your Goodreads shelf for later!